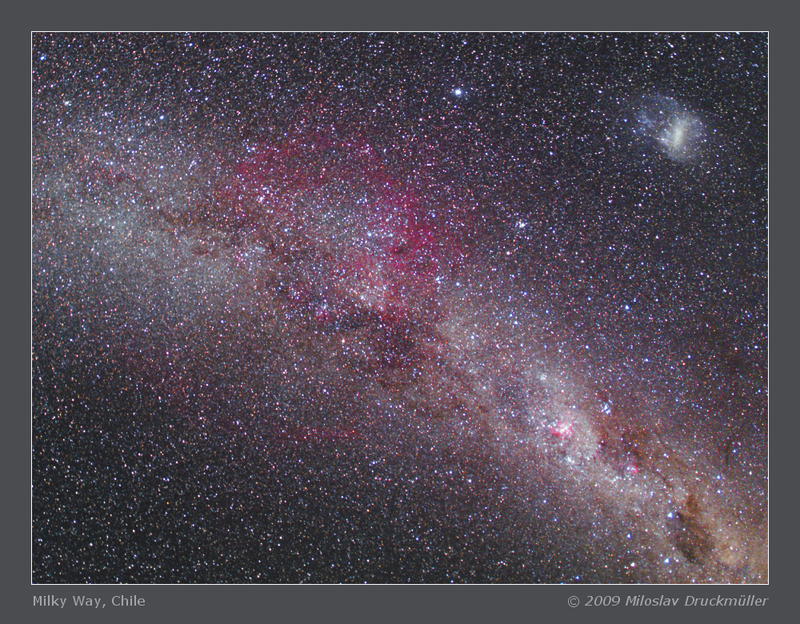 This image is a detail of the super-wide angle image taken on Laguna Animas in Chilean Andes. Regardless that the image is a detail, it is a wide angle image as well. It shows a large part of the Milky Way starting in Canis Maior (top left) and ending in Crux (bottom right). The Large Magellanic Cloud is in top right corner. 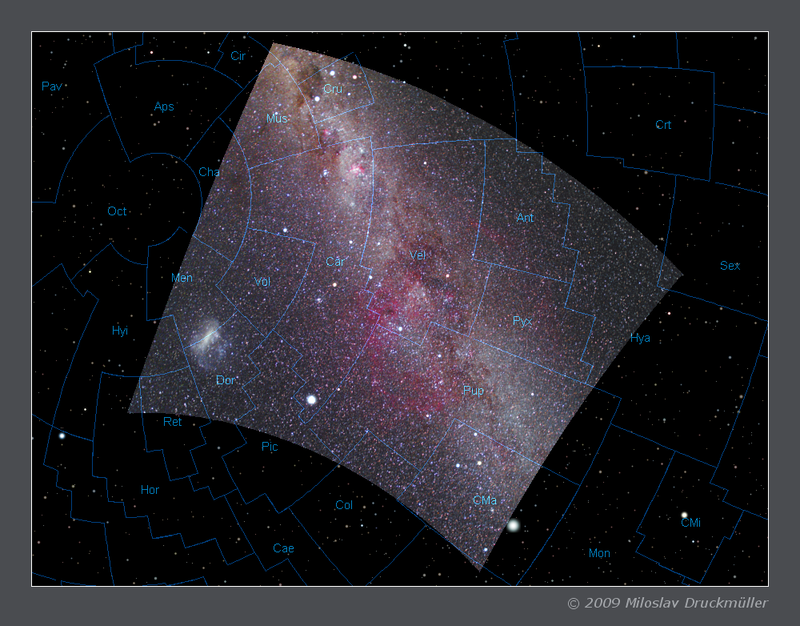 See this star map for better identification of constellations.